Downingtown High School East Campus serves 1,721 students in grades 9-12. The percentage of students achieving proficiency in Math is 87% (which is higher than the Pennsylvania state average of 46%) for the 2015-16 school year. The percentage of students achieving proficiency in Reading/Language Arts is 91% (which is higher than the Pennsylvania state average of 62%) for the 2015-16 school year. Downingtown High School East Campus placed in the top 5% of all schools in Pennsylvania for overall test scores (math proficiency is top 5%, and reading proficiency is top 5%) for the 2015-16 school year. 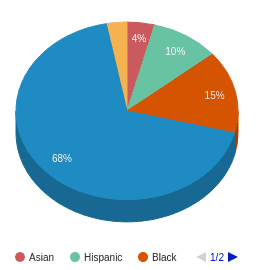 Minority enrollment is 18% of the student body (majority Asian), which is lower than the Pennsylvania state average of 32%. Downingtown High School East Campus's student population of 1,721 students has grown by 6% over five school years. The teacher population of 123 teachers has grown by 7% over five school years. Downingtown High School East Campus is ranked within the top 5% of all 2,835 schools in Pennsylvania (based off of combined Math and Reading proficiency testing data) for the 2015-16 school year. 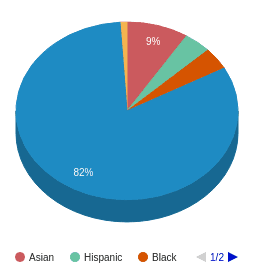 The diversity score of Downingtown High School East Campus is 0.32, which is more than the diversity score at state average of 0.26. The school's diversity has stayed relatively flat over five school years. Very good education provided. Very knowledgeable, and personable staff and administration. School Board for district however is not so good. School it self though is great. Many great activities available. Great, clean buildings and an all around nice environment to grow and learn in!